Location, Location! 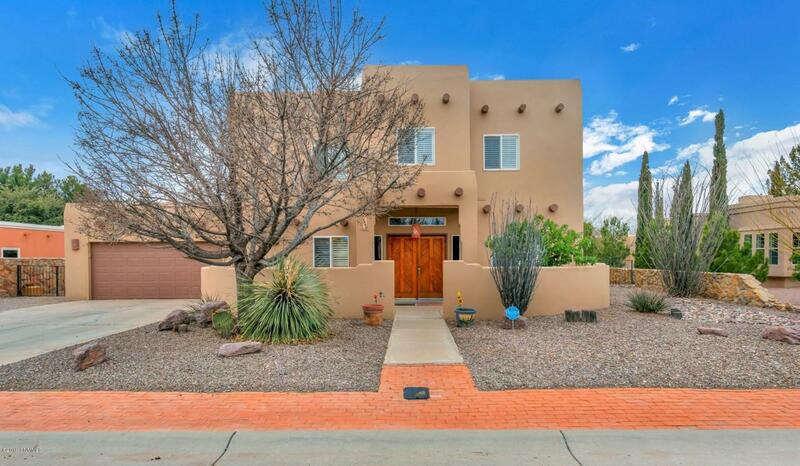 This wonderful home is nestled in a quiet community of fine homes only a few blocks from Historic Mesilla Plaza where you will find many restaurants, bars, stores, etc. The sought after Mesilla Farms Subdivision includes the use of a swimming pool & tennis court. This Southwestern home is such a beauty & it has so much space with 5 bedrooms, 4.5 bathrooms, two living areas & formal dining room. Four of the 5 bedrooms are on the top floor. One bedroom & 1.5 baths are on the bottom floor, making it convenient for guests or mother-in-law suite. Four of the bedrooms have walk-in closets & three of the bedrooms have their own bathroom. The delightful balcony out of two of the bedrooms will allow you to relax & enjoy listening to the birds while having your cup of coffee. HOA fee is $500.00 a year. Make an appointment to view this home today!